Dennis Rowan was born in Gap Mills, WV, Monroe County and has lived most of his life on the family farm. He graduated from Gap Mills High School in 1959. He studied at WVU, NC State and Virginia Tech where obtained degrees of B.S, M.S, and Ph.D in animal science. He taught at the University of Missouri for eleven years before returning home to the family farm in 1982 to raise sheep. His head knowledge about sheep was then enhanced with the heart knowledge as he spent much time studying the Bible, managing his sheep flock, and seeking God in prayer. 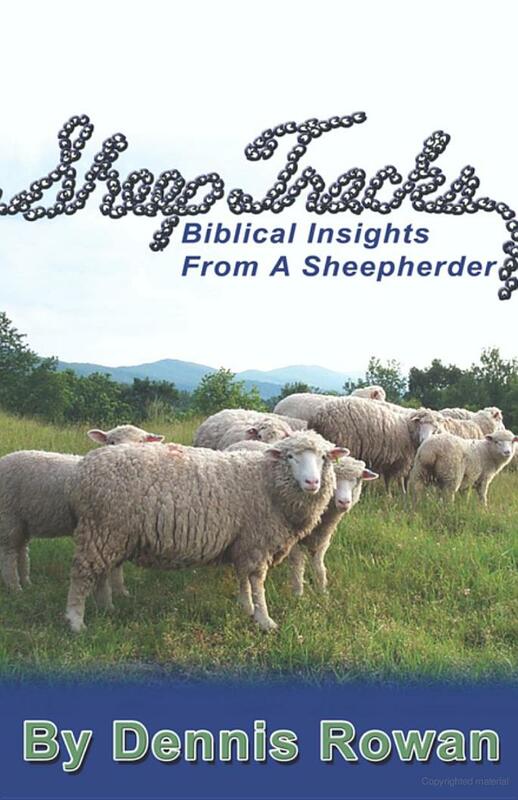 In 2006, Dennis wrote the book “Sheep Tracks”, Biblical insights from a sheepherder. It is a collection of forty-six essays written by a modern day sheep-herder over a period of twenty years. He and his wife Glenda (a former secretary at Union High School), founded Psalm 23 Camp on their farm in 1985, where part of the emphasis is on sheep/shepherd relationships. In 1993 they started “Servants At Work” as an outreach to local people and to Missionaries in Central America. You may purchase this book by contacting Dennis at dennis@psalm23camp.com.